This was originally posted on the InfoSpace blog along with my other post, InfoSpace Invests in Open Source and Fun! This blog entry was written by guest blogger, Tony Heupel, a Software Development Manager at InfoSpace. If there’s one thing to know about InfoSpace, we are very passionate folks. We love to work hard together and have tons of fun together, too. 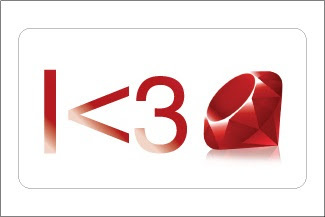 A few months ago, one of our developers put together a programming competition so that everyone in the company had a chance to learn Ruby, a very popular and powerful open source programming language. The winner would earn a cool trophy, paid attendance to the Cascadia Ruby conference, and the all-important bragging rights and privileges one gets when kicking your co-workers to the curb. The contest was a Ruby Light Cycle programming competition. We were all given a developer’s kit to work on our AI algorithms and a very simple map to run it on. Once we got to the competition in our huge training room — complete with music, speech synthesis, smack-talk chat windows, leaderboards, and pizza — it was clear that the simple course was nothing compared to what our cycles had to navigate for the real games. It was a terrific afternoon and we all had a blast. The winner received a Tron Memory Disc trophy and he even had to race a cycle against his own AI using an old-school, gigantic Nintendo joystick. Good times were had by all–even us losers. An image of the limited-edition InfoSpace decal you can score at the Cascadia Ruby conference! We have also seen multiple examples of developers or other employees having an idea, doing a quick prototype, having the company leadership support us in spending time exploring and enhancing it, and investing in those ideas that have a shot of becoming something new. Companies always talk about finding innovation from their employees, but I have not truly experienced that anywhere else, but here at InfoSpace. InfoSpace is also showing their support in our efforts and the Ruby community by participating as a Platinum sponsor of the Cascadia Ruby conference, the first regional Ruby conference for Portland, OR, Seattle, and Vancouver, BC. We will certainly be there and we are looking forward to meeting everyone! We will have a table out front and we are excited about the opportunity to participate and help grow the local community. As I said earlier, we are a passionate bunch and we really love what we have experienced so far. We are just getting started, but we love working in small, creative teams with these awesome technologies and the people who build them. It really has brought the joy of programming that got us hooked in the first place back to our daily lives! Stop by and visit us at the InfoSpace table at the Cascadia Ruby Conference this Friday or Saturday. The first five people to check-in on Foursquare will receive a choice of a few cool prizes! We hope to meet you there!